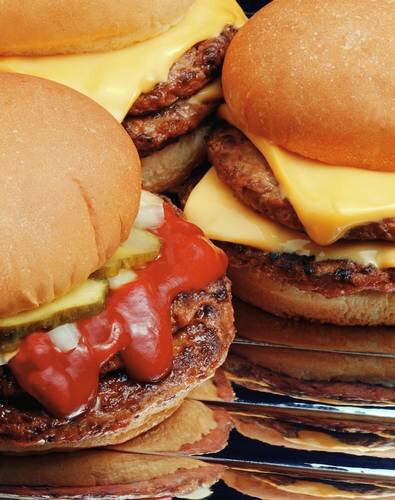 Choose from a hamburger, cheeseburger, bacon burger or bacon cheeseburger. Or, if your appetite isn't quite up to par, try one of the former in a small serving. Five Guys in Moore also offers a kosher-style hot dog, cheese or bacon dog, bacon cheese dog, grilled cheese sandwich or veggie sandwich. No matter what entree you get, you must get an order of Five Guy's famous fries, which always come in a more-than-generous helping. 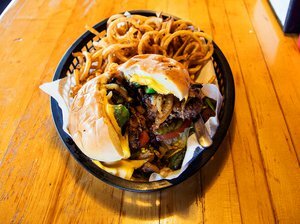 There are over 250,000 possible ways to order a burger at Five Guys in Moore, so pick your favorite from 15 topping options including mayonnaise, relish, onions, lettuce, grilled mushrooms or green peppers. 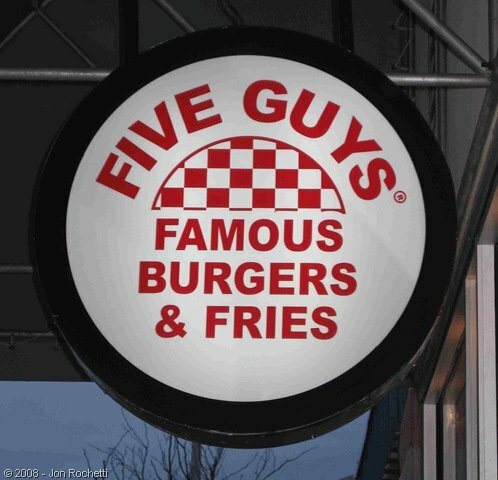 Five Guy's has been ZAGAT survey rated every year since 2001 and has been voted the 'Reader's Choice' #1 Burger every year since 1999 by Washingtonian Magazine.